No MOQ, small quantity available. Paper Carton,outside with wooden boxes. 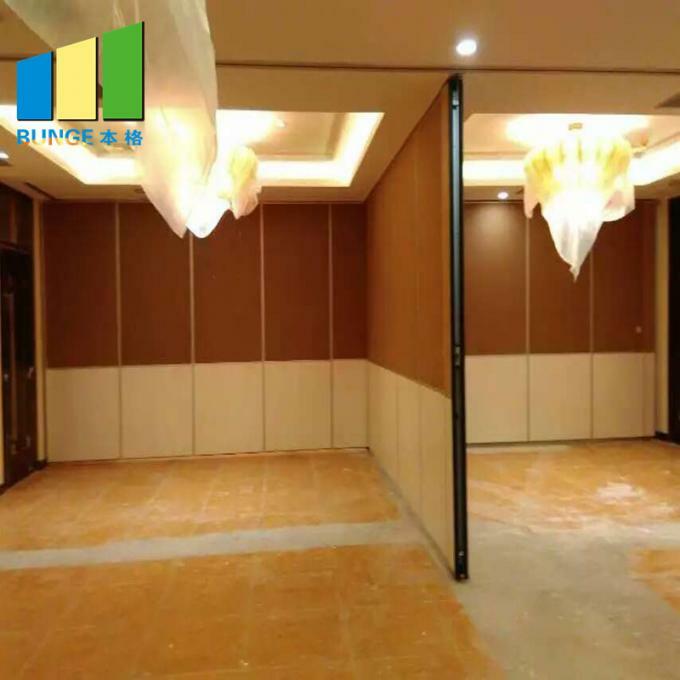 Sound proof partitions are widely used in this modern society,such as the hotel, banquet hall, conference room, office, function room, school, classroom, church, studio, auditorium and other public places. Sound proof partitions can be divided the big spaces into many smaller rooms and make more smaller rooms into a big space. They are easy to install and operate. 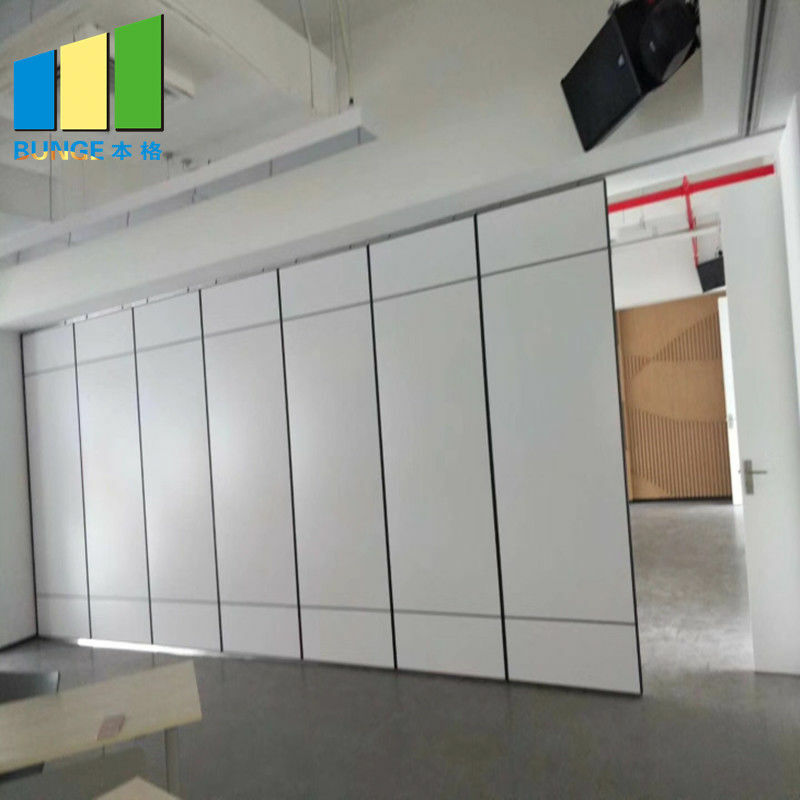 Also the sound proof partitions can be customized based on the different demands of different clients. 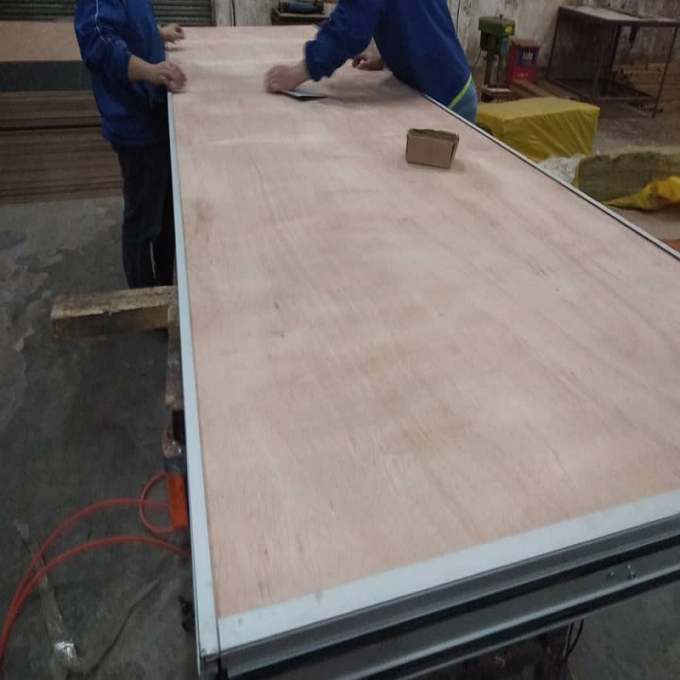 In addition,we are the manufacturer of sound proof partitions,not a trading company. We have our own factory and showroom in Guangzhou,China. Very welcome to visit us when you come to China. 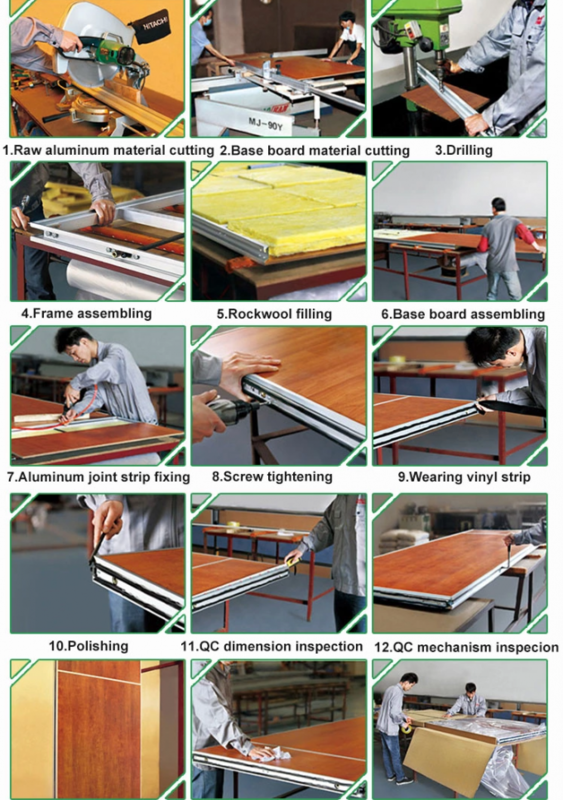 Actually there are more than 60 kinds of accessories to produce the sound proof partitions panels. All of them are made of high quality and have done the quality inspection. Quality is our culture,so please do not worry about the quality. 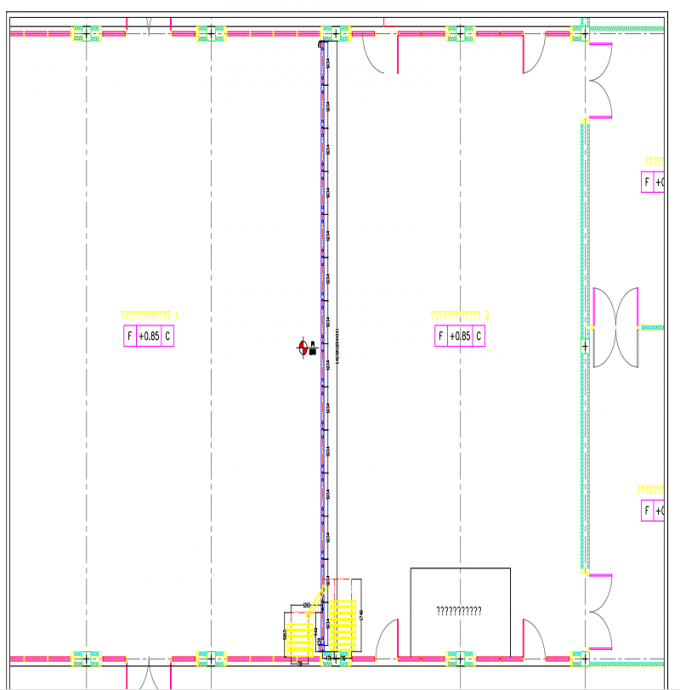 We also can provide the partition walls accessories to our clients,such as the sound proof partition walls tracks and wheels. We have more than 10 tons of stock in our factory. 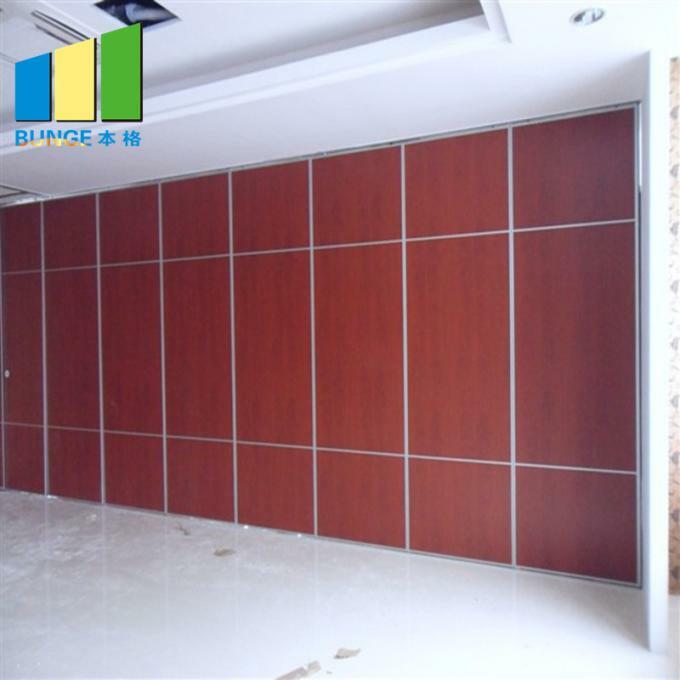 So if you need the partition walls acessories, welcome to contact us for more details. Q1. Can I have a sample order for sound proof partitions? Q2. What about the leading time? Q3. 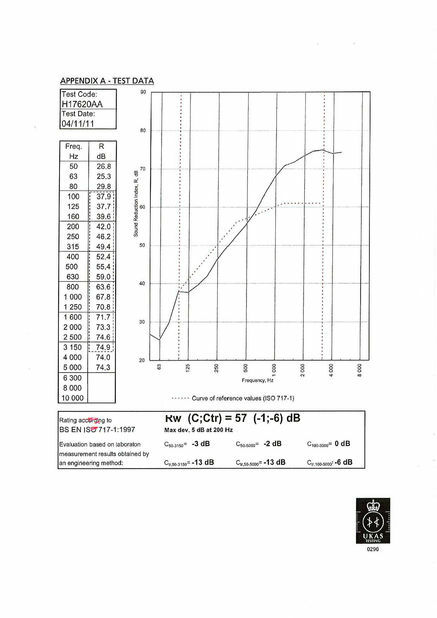 Do you have any MOQ limit for sound proof partitions order? Q5. Do you provide installation? Q6. Is it OK to print my logo on packing? 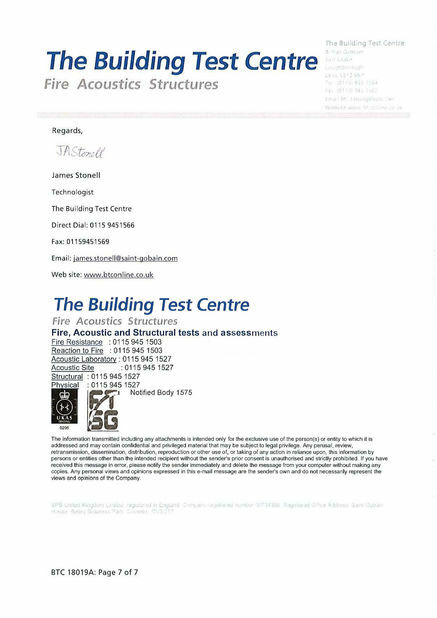 Q7: Do you offer guarantee for the sound proof partitions? 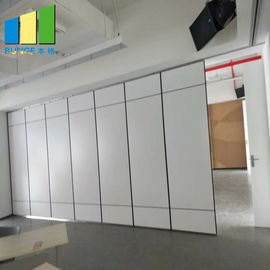 Yes, we offer 5 years warranty to our sound proof partitions. 4.Support a 5 YEARS WARRANTY.